A chaise longue (literally: long chair) is a wonderfully comfortable piece of furniture that adds a luxury look to any room. Chaises longues or divans were first used by the Greeks and Egyptians in ancient times. The fact that they’re still being made today should tell you how popular this design really is. You can stretch out on one by yourself, but the chaise longue also works as a two-seater sofa. Because it doesn’t have a back rest across its entire width, it looks less bulky than a regular sofa. 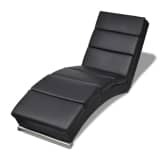 vidaXL has various comfortable chaises longues in multiple styles – the classic Chesterfield, a modern version with an iron frame, or go for a cool silver-coloured design. 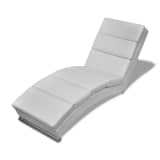 You’ll find the cheap chaise longue of your dreams at vidaXL! 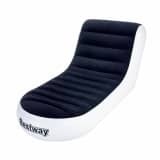 If you’re looking for something more striking than an armchair or any of our other comfortablechairs, a chaise longue is a very solid option. 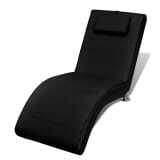 The chaise longue is known for being extremely comfortable. Popular design styles at the moment, for both chaises longues and interiors in general, include modern, romantic, and classical. Modern design is known for its straight lines, frequent use of (imitation) leather, and chrome. If you go with romantic, you’re likely to find striking floral prints, undulating lines, and light colours. The classical style is also perfect for a divan with characteristic curved legs and a Chesterfield look. If you want the best of both worlds, why not go with a corner sofa, or a sofa with chaise longue? 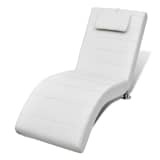 Keep in mind which side has the chaise longue, so you can be sure it fits the room the way you intended. With some sofas, the chaise longue is a separate element, allowing you to play around with the set-up. vidaXL has a wide selection of corner sofas in various styles. Come browse all our furniture to complete your interior at the best price!